The male suspected of sexually assaulting the woman, according to police. 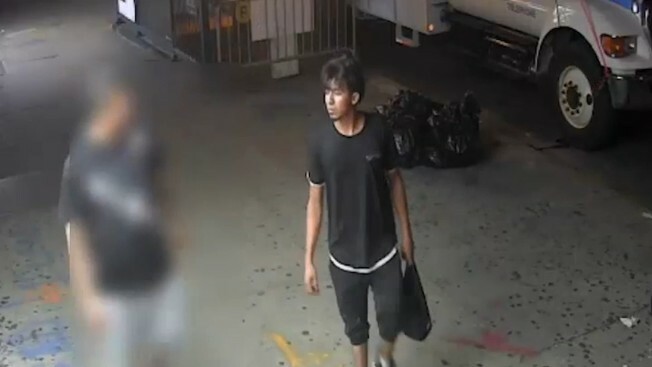 A good Samaritan fought off an attacker who started to sexually assault a woman after dragging her down an alley in Brooklyn, police said. The 27-year-old woman was walking near 90th Street and Fifth Avenue in Bay Ridge around 1:40 a.m. on Aug. 25 when a male she didn’t know dragged her into an alleyway, threw her to the ground and removed her clothing, the NYPD said. As the man started to sexually assault her, a good Samaritan jumped in and fought him off, police said. The good Samaritan tried to chase after the man when he fled the scene, but he got away. A woman who lives nearby said she witnessed the fight between the man and the good Samaritan. Police are now searching for a male with a goatee who was last seen wearing a black t-shirt, black and white sneakers and dark shorts. Anyone with information is asked to call the NYPD’s Crime Stoppers Hotline at 1-800-577-TIPS.